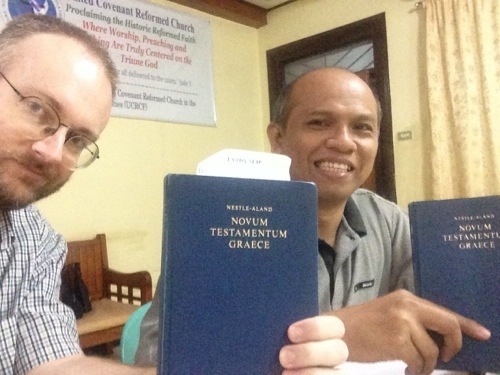 Pastor Vic and Matt with their Greek New Testaments. Two Biblical language nerds. 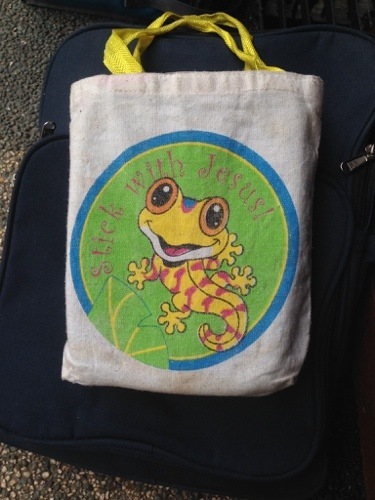 Naomi saw this comical gecko-themed bag at Faith Academy. 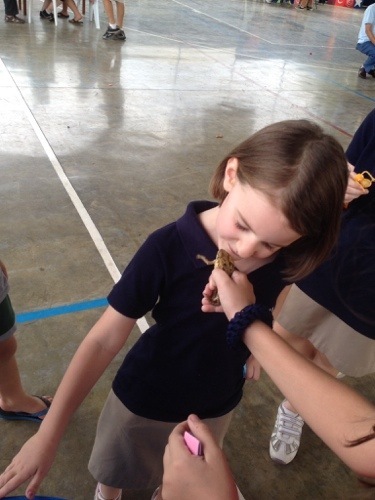 Naomi having fun at the Faith Academy Carnival. 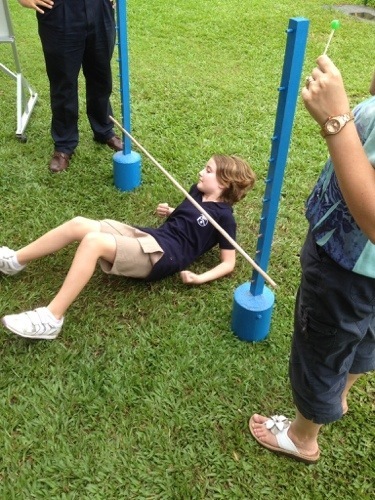 She’s a bit unclear on the concept of limbo, I think. Hosanna kissing a prince at the same carnival. 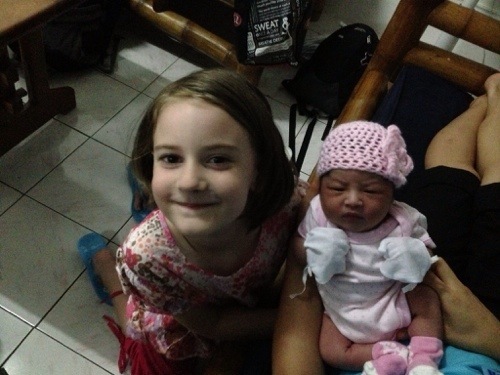 Hosanna with a baby from night shift at the clinic.